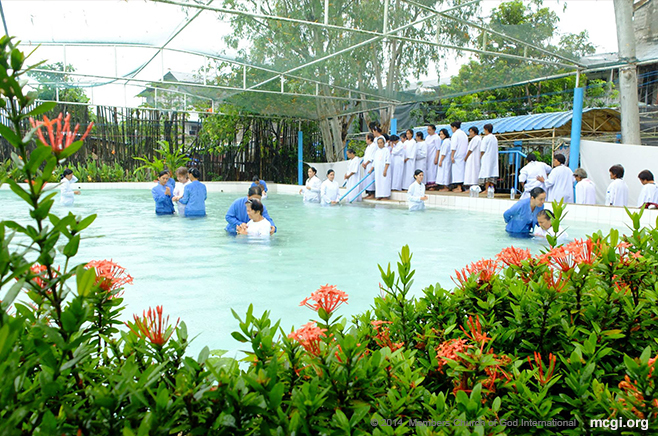 Read short testimonials of faith from some of MCGI’s youngest brethren baptized on July 24, 2015 at the ADD Convention Center in Apalit, Pampanga. There are many reasons. I woke up in this world with my parents being Catholics. Then, they made me become a Seventh-Day Adventist; however, I didn’t like the preaching. Many years passed by and I would return to Catholicism. I had a wife. I went to Saudi Arabia. But actually, before I went to Saudi, I had already heard of Bro. Eli’s preaching in 1980. I just couldn’t give attention and time to it then as I was focused on my work and going abroad. I spent eight years in Saudi, but what I heard from Bro. Eli never left my mind. When I returned here in the Philippines, I had a problem with my family. My wife sold our house and lot in Fortune Village, and went with another man. So when I got here, my mind was already troubled. I couldn’t give time to being indoctrinated. I went back to our province. When I was there, my mind was restless. So now, I strove to reach this place that I may continue with what I heard from Bro. Eli Soriano. I felt light after I got immersed in the water. I’m greatly thankful for it; I even cried. It’s because this has long been a dream of mine, and now, it has finally come true. As I was changing my clothes, I was thanking the Lord that my dream has been realized. If my wife didn’t go astray then, perhaps I would have been a member already long ago. I really feel relieved right now. I don’t feel constrained anymore. So when we were clapping our hands a while ago, even my shouts were on the top of my lungs. I am greatly thankful that my dreams finally came true. Thank you very much Bro. Eli. The brethren in the Locale of Biga told me that there was a locale in Dasmariñas in the province of Cavite. I told them that I just heard from Bro. Eli that there was a locale here. So when I found it, I was really thankful to God that my dreams have come true. His teachings are good; they are from the Bible. It’s really good, and are according to the way and instruction of the Lord. I felt light. It feels good inside. I hope that God will continue to guide them. 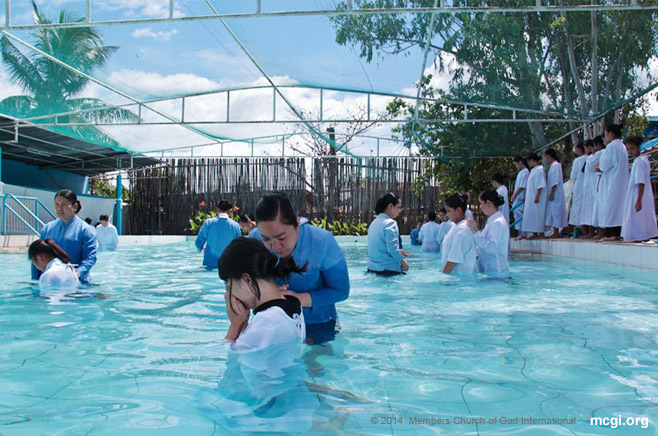 My son is from China, and he got baptized there. When he came here in the Philippines, he invited us. So I went with him, and my in-law and other child and their housemate also joined us. As I listened, I realized that what Bro. Eli says is true. And then I liked it already. Before, we would just laugh at him [my son], because even when he was just studying, he already listened to Bro. Eli. We would laugh at him. I even said to him, “Maybe you’re going to be a minister also one day.” I just joked about it, and he just let me. Time passed by and he went abroad. One day, he called me to seek my permission. 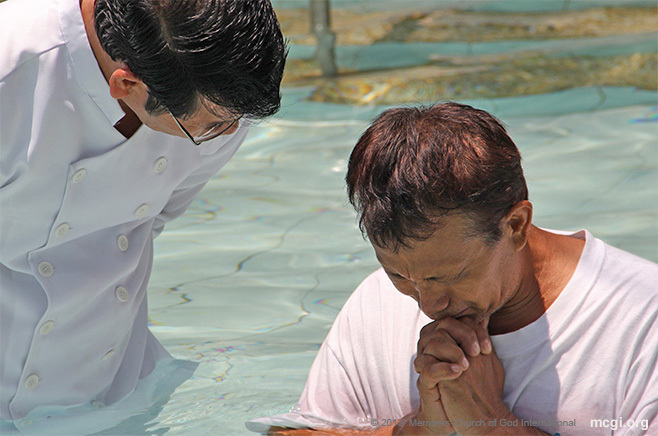 He said, “Mama, I’m going to get baptized here.” Now, when he went home, he brought us here. It’s like all my ill feelings have been taken away. Before, I had bad blood towards my husband. My husband always drinks, but he came with us when we attended the indoctrination. Last night, he even went with us. But I don’t think he’s ready yet. As I listened to Bro. Eli, I felt that it’s what I want. And it’s because I understood everything. Now that I have been baptized here, I’m exceedingly thankful that I have found a place where true worship of God is. I wanted to know the true God and His Son, the Lord Jesus Christ, that my soul may have a guide. That’s the main purpose why I joined. Last year, around November of 2014, I was able to listen via the Internet, and it went on from there. All the doctrines that Bro. Eli says are all from God; they are from the Bible. I watched all of his debates on the Internet. I feel blessed. All the emotional burdens that I carried in my heart, the sins I have committed are now gone. 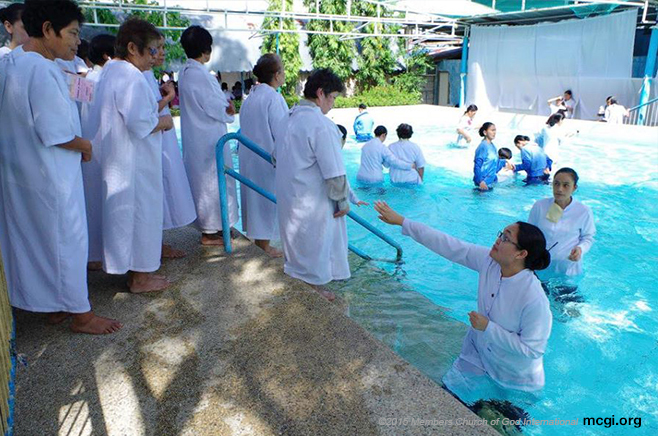 I realized what the result would have been had I not been baptized, having done many sins before. We need the process of baptism to be saved. That is its purpose. My message for both of them is that may they continue their works that other people will be saved as well. I’m certain that they are the instruments of God for those who don’t know anything about salvation to be able to listen to them and be sure of it. This is the only religion that I have found to be true. What Bro. Eli and Bro. Daniel say is the truth. I was formerly a KNC [Kawan ng Cordero or Flock of Lambs]. Ever since I was a child, I have already been active in Church activities. I also listened during Thanksgivings and Bible studies. I have been away from the KNC for five years though as I lived with my grandmother who is a Catholic. It’s different; it’s really a different feeling. I can’t explain it. 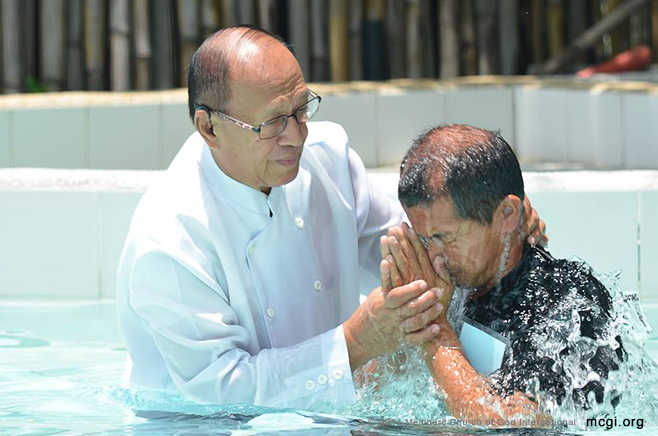 Read short testimonials of faith from some of MCGI’s youngest brethren baptized on July 17, 2015 at the ADD Convention Center in Apalit, Pampanga. We [she and her family] started listening on TV. We watched him [Bro. Eliseo] and listened to his words about God. We watched him for three months. Afterwards, we immediately sought The Old Path. We really searched for it ourselves and didn’t confide with other people. 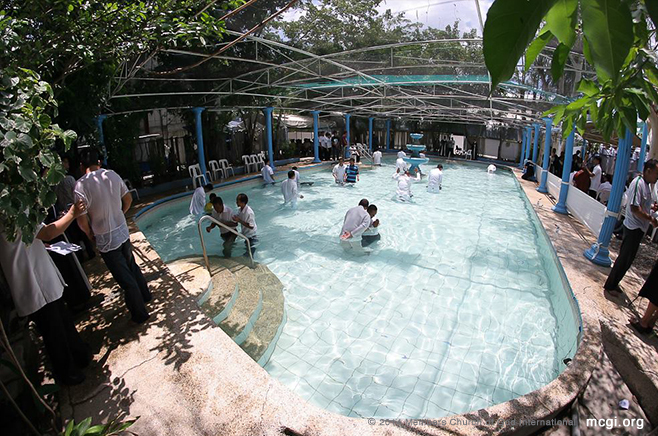 We found the locale in San Isidro Dos in Paombong, Bulacan. Bro. Eli explains well the words of God that’s why we decided to join here. I hope that they will have a longer time in serving people across the whole world. Thanks be to God! I started listening because of my workmate as he is a brother-in-faith. I’m a soldier, and he introduced the program of Bro. Eli to me. I have watched it on television since then. Sometimes, when I was alone, I would go up to [my room] and watch it on my tablet. There are channels that my tablet is able to pick up. Bro. Eli’s preaching is different. You will really see that what he says is true. You will feel it. I read the Bible, and as I listen to the verses, I read them at the same time. That’s why I decided to get indoctrinated. I experienced some hindrances while I was being indoctrinated, like those coming from someone who is of a higher rank than me at work. But with God’s mercy, I was able to continue. You just really need to have faith in Him. Actually, before I came here last night, one of my children didn’t go home immediately, and there was no one else to take care of my other children. I was worried at first [that I might not be able to attend] because my wife also worked. But I thought it good to let my faith go to work. It’s like when the Lord Jesus Christ told Peter to be strong in faith. I feel happy. My life was changed because of my listening [to Bro. Eliseo]. I was cleansed; I had a great change in me. I have finally attained the true faith. I feel different now that I have been baptized. Thanks be to God for them. Because of them, I was able to hear sound doctrine. I hope that the Lord will give them more strength to be able to preach that they may be able to reach many more people, so that the true faith will be propagated and that many more will worship God. I have long been listening. Now, for the longest time that I have been searching, I didn’t know where I could go. I saw here all the truth that I did not see in other religions. Ever since I was a… I really didn’t feel this emotional relief in my being then. Of course, it’s like my being has been changed. I feel that all the errors I have committed… [Cries] It’s only now that I felt like this. This is why I’m greatly thankful that I was able to listen to Bro. Eli. That is when my consciousness, my emotion was awakened. I’m thankful for being baptized. I feel that my life has changed. That’s all. I hope that the minds and paths of many more people will be enlightened.